Technically The Nifty is in negative zone under 7827, Below 7827 it could head lower to 7800 and 7764. The Nifty has a continuous run up since Jan 2012. The markets seem to be positive after the Rate cut announced by the RBI . With Spot Nifty trading at 5332 we expect Nifty to touch 5446 a continuation of a bull run will be confirmed once nifty closes above 5446 , Resistance Lies at 5500 , a break above 5510 will lead the Nifty towards 5700 and 6100, Therefore levels to keep a track of is 5500 and 5100 . However, a Break below 5100 will drag the Nifty towards 4900.
it may continue to move north. Buy Venus Power for big profits! 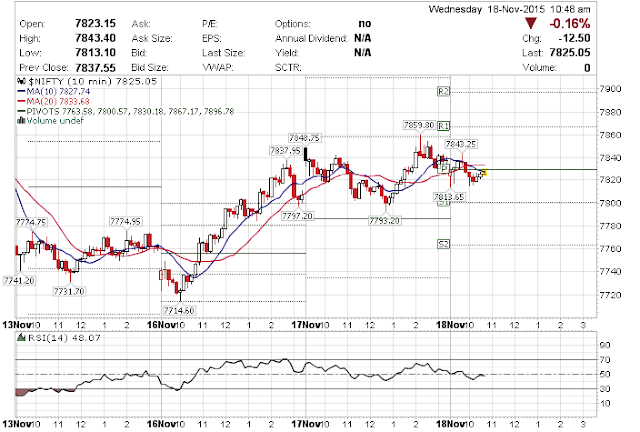 The support level for Nifty lies at 5180 , Our recommendation is to Buy 5200 Put and Buy Nifty at current market levels. Where would Nifty be By December 2011?